It was a colorful mix of adventure, climbing and traveling with very different and inspiring people from all around the world like from Australia, New Zealand, Japan, Canada, USA, Mexico, Brazil and many European countries with all their own stories to tell. I had a wonderful time. To me Prilep in Macedonia was a highlight. 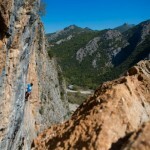 The video above, published by Petzl, shows what impressions we got within our five days stay. Not only the climbing but especially the sunset every evening (which gave the name to my first ascent you can see in the video) were so fascinating that I already made a decision: I want to come back. Best with my brother Ruben to meet again with the local community of very committed climbers and the Slovenian team who is helping to develop the area. Recently they’ve published a bouldering guidebook for Prilep. Prilep is only discovered to perhaps 20% yet. Tons of unclimbed rock widely spread over several big hills is laying around waiting to be climbed for the first time. So why sitting around? 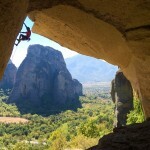 Let’s all go for our next bouldering destination: Prilep in the Balkan Mountains! 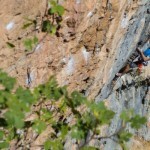 Also nice to read there is the blog post “Going East with the Petzl Roctrip” by my compatriot Fabi Buhl who has been to the first part in Romania and who is telling some of his experiences. Another highlight to me was Meteora where I spent an enyoable time particularly with Dicki Korb und Colette McInerny who took these nice shots below. 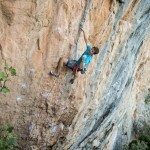 Climb Greece devoted some friendly lines on the RocTrip’s stay, Mélissa Le Nevé’s multipitch of the Greek “Action direct” (FA 8b/8b+) and the nearby crags of Pyli/Mouzaki where I could manage to quickly top some nice sport climbs. Last destination for me this time were the boulders of Bafa Lake in Turkey where I had to grapple with the heat (35 degrees in the daytime). Fortunately on my last climbing day Dave Graham and Paul Robinson took me with them to the Sakarkaya area 30 km away from the main spot where we’ve done some superb lines together. It’s located further up in the mountains and the rock is so different than down at the lake. When we’ve been up there it was agreeable and windy. So much better conditions for hard climbing in comparison to the main area. Together with Dave and Paul I’ve tried “American Dream”, an 8A line on unique features. The FA was done by a Turkish local. I was very close to send it but couldn’t hit the crimpy slot at the top. On the backside of the bloc there is a 7C problem along a quartz line. It looks so good and climbs perfectly! This is a beautiful place surrounded by so much smooth rock and I think that there is still loads of unfinished business still waiting for me to come back. Popping in for the rest of the trip in Turkey there was my good friend Lena Herrmann who surely will be reporting on this on her blog soon. Last but not least I am planning to write a more extensive travel report for the winter issue of our North German climbing magazine “Der Klemmkeil”. So I hope to meet you soon for some more reading about the RocTrip. 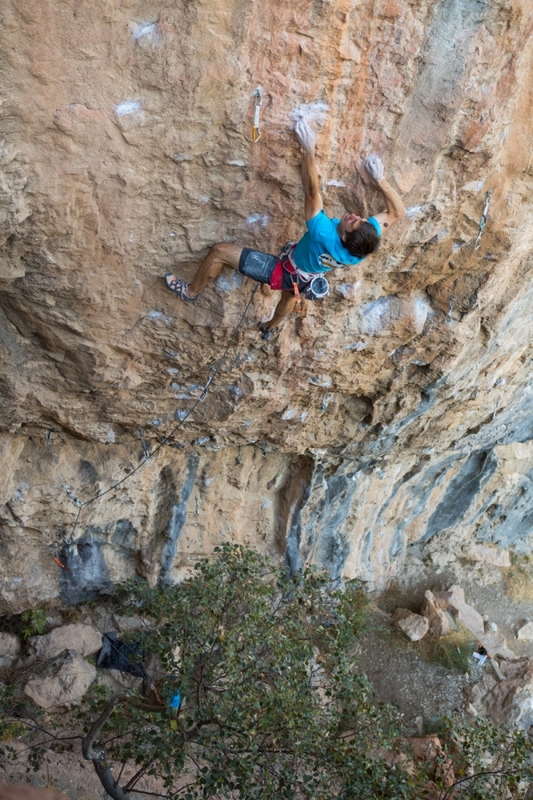 Dieser Eintrag wurde veröffentlicht in Allgemein und verschlagwortet mit action direct, adventure, akiyo noguchi, american dream, amores perros, bafa lake, balkan mountains, bouldering, bouldering guidebook prilep, bulgaria, climb greece, climbing, colette mcinerney, dave graham, der klemmkeil, diagonian devil, dicki korb, dragon's cave, fa, fabi buhl, gaspar pintar, greece, izidor zupan, lena herrmann, macedonia, meteora, mouzaki, paloukeros, paul robinson, petzl, petzl roctrip 2014, prilep, pyli, rila, sachi amma, sakarkaya, sunset in prilep, traveling, turkey von admin. Permanenter Link zum Eintrag.